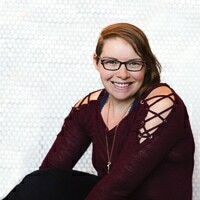 Do You Even Paleo (found at https://doyouevenpaleo.net) (“Website”) is a personal blog written by Chelsea about recipes, health, natural living, and more. In the interests of transparency, there’s some information you need to be aware of about my blog practices, including ads, affiliate links, products I recommend, and advice I may provide. I take your privacy incredibly seriously, so it’s important to let you know what information my site collects and how it’s used. This policy only applies to this website. Information You Voluntarily Submit: We may collect personal information from you such as your name and email address. For example, you may voluntarily submit information to the website by leaving a comment, submitting a contact form, or subscribing to a newsletter. Automatically-Collected Information: We automatically collect certain information about you or the device with which you access this website. For example, when you access this website we will log your IP address, operating system type, browser type, referring websites, pages you viewed, and the dates/times you accessed this website. We may also collect information about actions you take on this website, such as links clicked. Cookies: We may log information using cookies, which are small files which ask permission to be placed on your browser by a website. Cookies allow websites and applications to respond to you as an individual by gathering and remembering information about your preferences. We may use both session cookies, which expire when you close your browser, and persistent cookies, which stay on your browser until deleted. To send you promotional information, such as newsletters. Each email sent to you by Do You Even Paleo will provide a link to opt out of further mailings. To send you administrative communications, such as administrative emails, confirmation emails, technical notices, updates on policies, and security alerts. Additionally, this website may use third-party service providers to service various parts of the website. Each third-party’s use of your personal information is dictated by their respective privacy policies. At this time, the Website doesn’t share your personal information with any other third-party services. This list may be amended from time to time at the Website’s sole discretion. Except when required by law, we will not sell, distribute, or reveal your email addresses or other personal information without your consent; however, we may disclose or transfer personal information collected through the Website to third parties who acquire all or a portion of this business, which may be the result of a merger, consolidation, or purchase of all or a portion of our assets, or in connection with any bankruptcy or reorganization proceedings brought by or against us. From time to time, we may use anonymous data, which does not identify you alone, or is combined with data from other parties. This type of anonymous data may be provided to other companies for marketing, advertising, or other uses. Examples of this anonymous data may include analytics or information collected from cookies. Other users may see your name, website, and comment. Your email address will never be available publicly. Do You Even Paleo does serve ads, provided and monitored by third party companies. On the Website, you may choose to subscribe to the newsletter, which may be used for advertising purposes. All newsletters and emails sent may include tracking pixels. The pixel is embedded in emails and allows an analysis of the success of online marketing campaigns. Due to the tracking pixels, we may see if and when you open and email and which links you click within the email. This allows the Website to adapt the content of future newsletters to user interests. This behavior will not be passed on to third parties. The Website may receive monetary compensation or other types of remuneration for my endorsement, recommendation, testimonial and/or link to any products or services from this blog. Do You Even Paleo participates in the Amazon Services LLC Associates Program, an affiliate advertising program designed to provide a means for sites to earn advertising fees by advertising and linking to amazon.com. Affiliate marketing is accomplished by embedding tracking links into the Website. If you click on a link for an affiliate partnership, a cookie will be placed in your browser to track any sales for purposes of commission. If you click through an “affiliate link” (typically from Amazon), which leads you do a specific product or service, and eventually make a purchase after being referred from my site, the Website some compensation (either monetary or via store credit), with no cost to you. OPT-OUT – You may opt out of future email communication by following the unsubscribe links in our emails. You may also notify us at chelsea@doyouevenpaleo.net to be removed from our mailing list. ACCESS – You may access the personal information we have about you by submitting a request to chelsea@doyouevenpaleo.net. AMEND – You may contact us at chelsea@doyouevenpaleo.net to amend or update your personal information. Note that we may need to retain certain information for record-keeping purposes or to complete transactions, as required by law. This Website does not knowingly collect any personally identifiable information from children under the age of 16. If a parent or guardian believes that the Website has personally identifiable information of a child under the age of 16, please contact us immediately at chelsea@doyouevenpaleo.net and we will use our best efforts to promptly remove such information from our records. 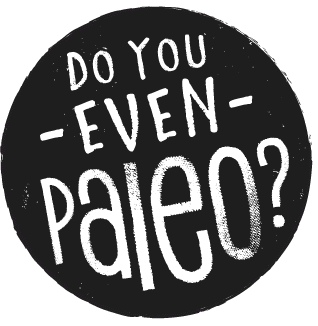 The content of Do You Even Paleo, whether through this website, social media pages, or any other materials distributed by Do You Even Paleo, is intended to provide helpful and informative material. I am not a registered dietitian, nutritional therapist, fitness expert, or medical professional. So, take any advice or other info on here with a grain of salt. The information presented herein has not been evaluated by the U.S. Food and Drug Administration, and it is not intended to diagnose, treat, cure, or prevent any disease. Full medical clearance from a licensed physician should be obtained before beginning or modifying any diet, exercise, or lifestyle program. I’m just writing to share the way I live and the recipes I come up with. Everything on this site is based on my own personal experience and views, and is not meant to treat or diagnose any illness. Any content on my blog, whether it be pictures, text, or recipes, may not be republished or distributed, for financial gain or not, without written permission of the author. You are welcome to share a photo and link back to the original recipe, giving Do You Even Paleo full credit. Do not copy and paste and publish the recipe in its entirety on your website. For licensing inquiries for commercial use, general distribution, and publications, email me at chelsea@doyouevenpaleo.net. Don't subscribe All Replies to my comments Notify me of followup comments via e-mail. You can also <a href='https://www.doyouevenpaleo.net/comment-subscriptions/?srp=727&srk=87505361eee98908ddf6ccb8681f50d6&sra=s&srsrc=f'>subscribe</a> without commenting.